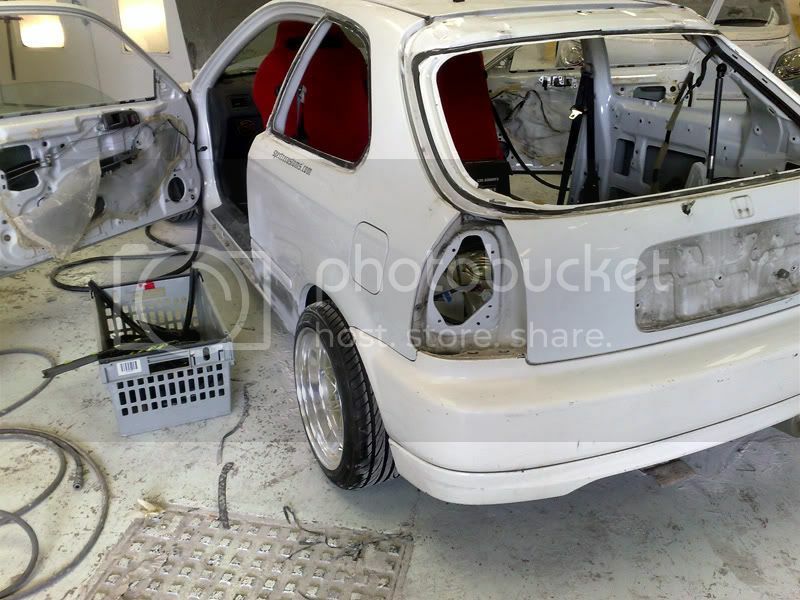 Hey folks, thought i'd post a few pictures of my EK Civic from good ol' England as it sits in its 'current' state. 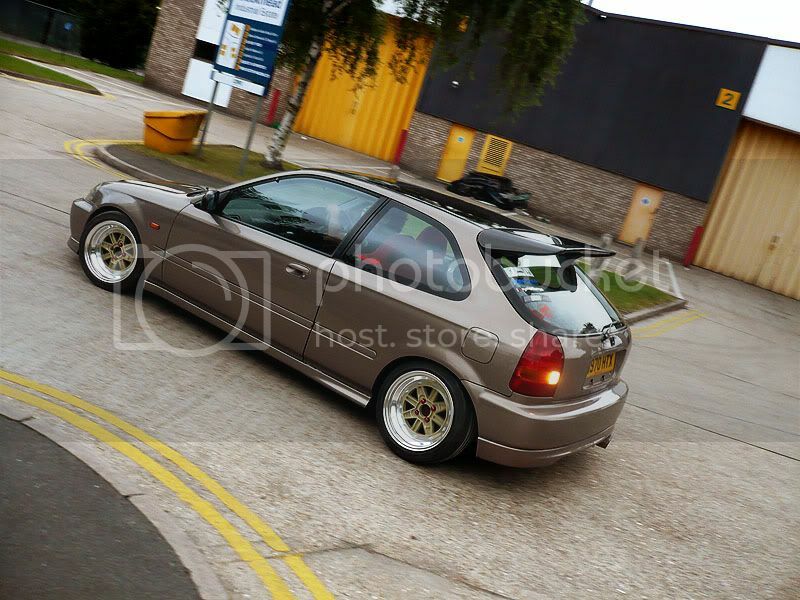 Been through a fair few 'looks' so to speak, used to be white with a buddyclub kit, Advan RGs, then EK9 bodywork, now a kinda euro vibe with the dish and paintwork. Anyways. 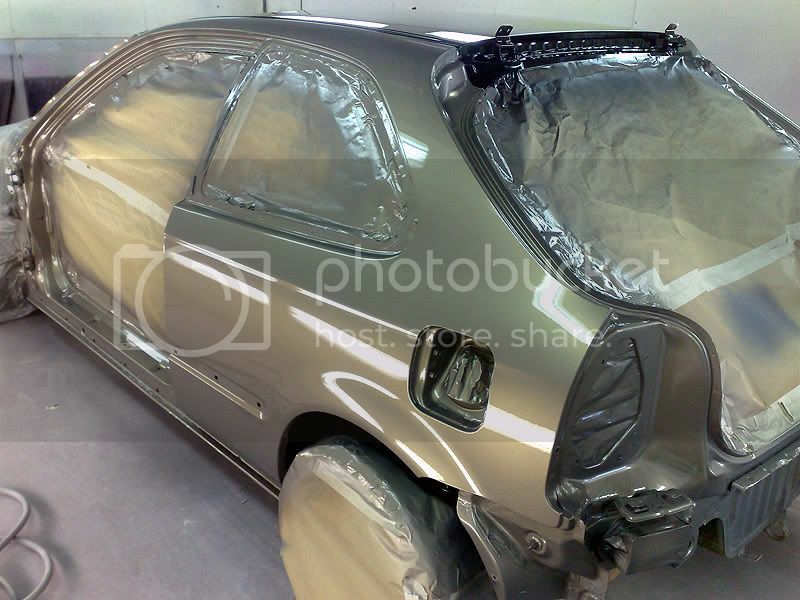 Brief spec of what you need to know, it's a 1998 EJ9 painted in BMW Kalahari beige (as found on the X5, 7-series etc.) 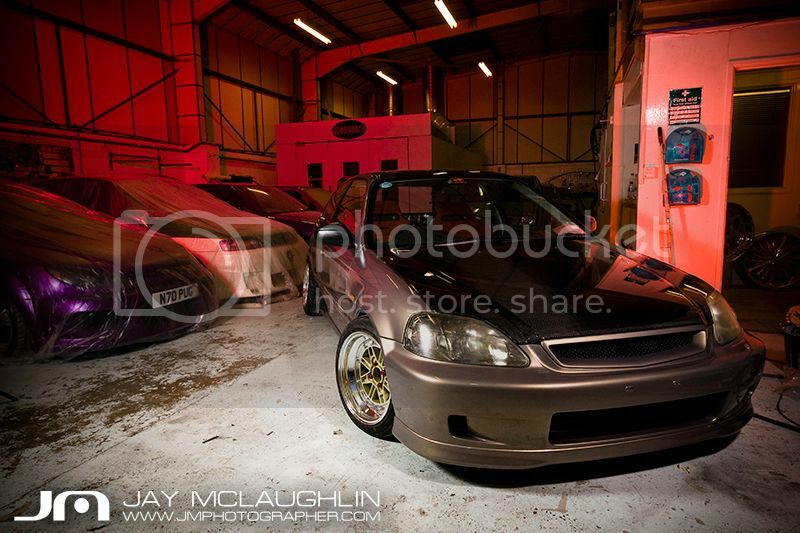 It's had a full EK9 facelift conversion usng OEM parts along with a carbon bonnet and carbon bomex spoiler. 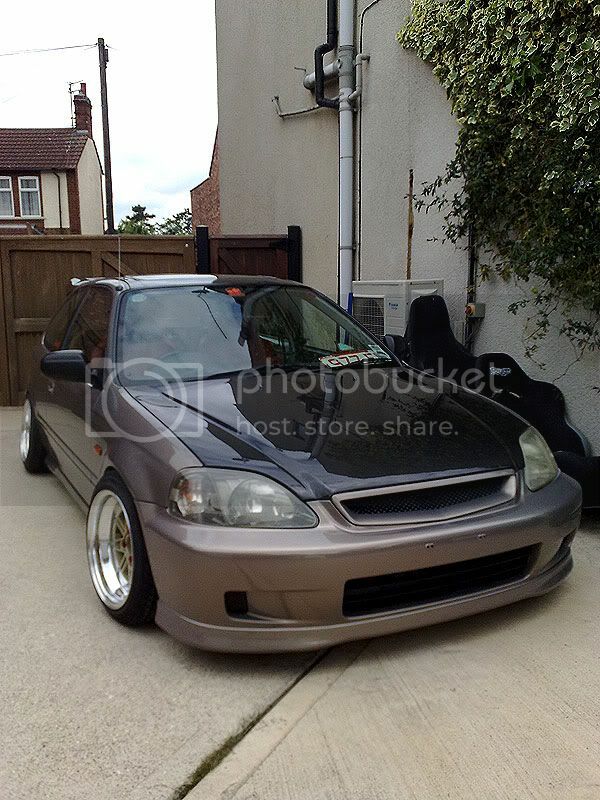 Sits on 15x8in genuine SSR Mk3s with a 0 offset... well, -7 on the front due to spacers for the callipers. Tyres are Yokohama S Drives, 195-45-15, bit of stretch but nothing too mad. Suspension is Spax RSX height/dampening adjustable along with Buddy Club front and rear camber kits. 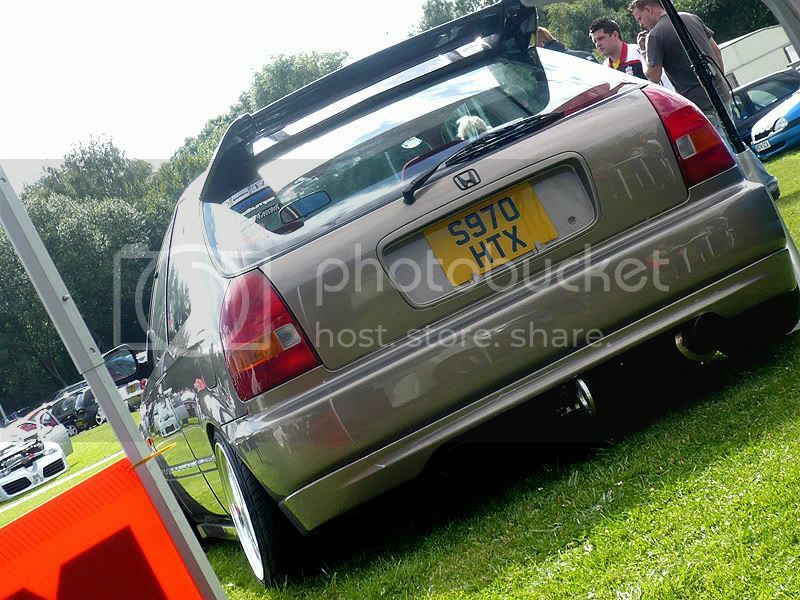 Wheels/stance make the car very marmite, i love it, even with the ridiculous camber. 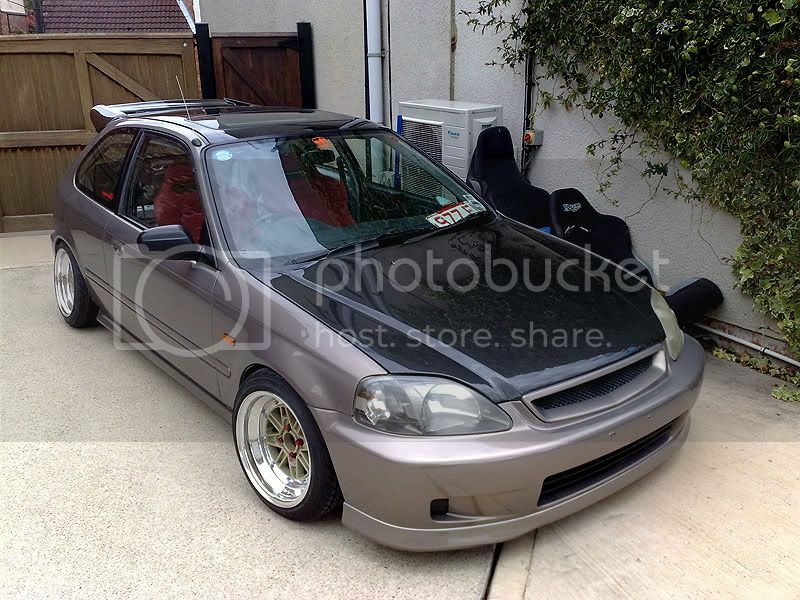 Ideally want to try and tuck the fronts but need some thinner callipers then should be laughing.